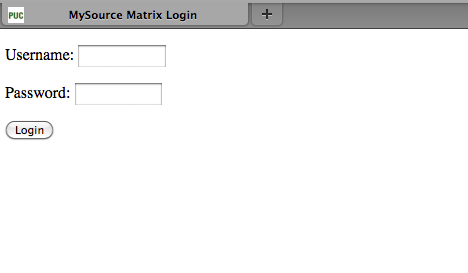 I recently locked myself out of a new Squiz Matrix installation because I had applied a System Defined Login Design that didn't have the correct code. When I tried to login, I couldn't, because my login form was not working correctly, so I got a blank screen. All other attempts to get into my system failed since _admin, _login and _edit were all using the login design that I had applied. The login isn't pretty, but it is a life saver. I did a Google Search as well as a search on the Manuals website, but I couldn't find any mention of this great feature. Awesome, I heard about this feature but never saw it documented either, will spread the word! Never heard of that. Works as You said. Thanks!